Made under private label by New Era for Wilson Sporting Goods. There may have been a prototype before this cap, but this was definitely the first mass-produced cap featuring the famous Cartoon Bird logo, which was most likely supplied by Roman Embroidery. 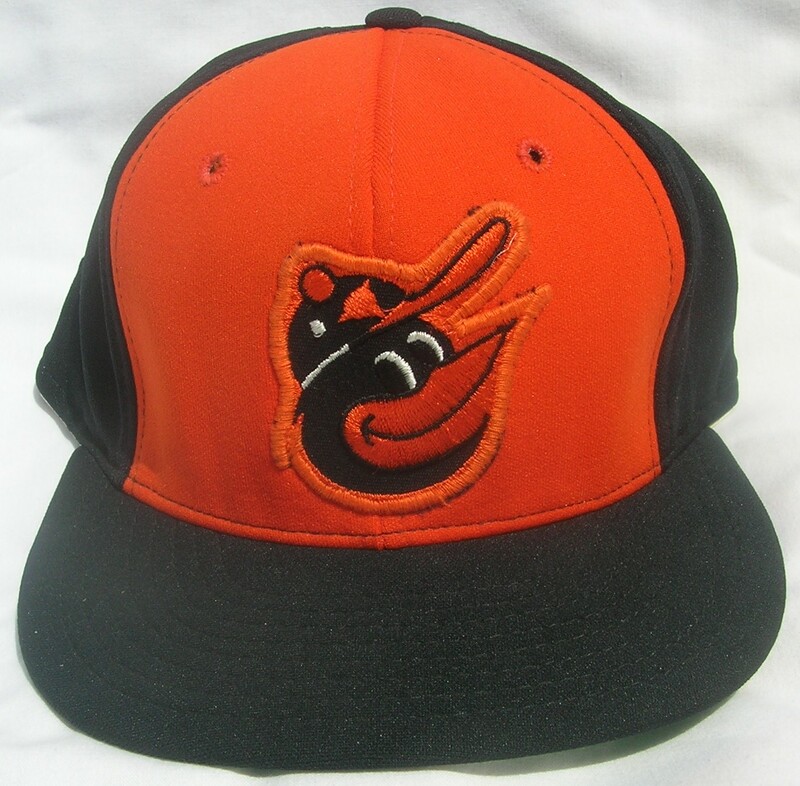 They would wear this cap virtually exclusively through the 1973 season. 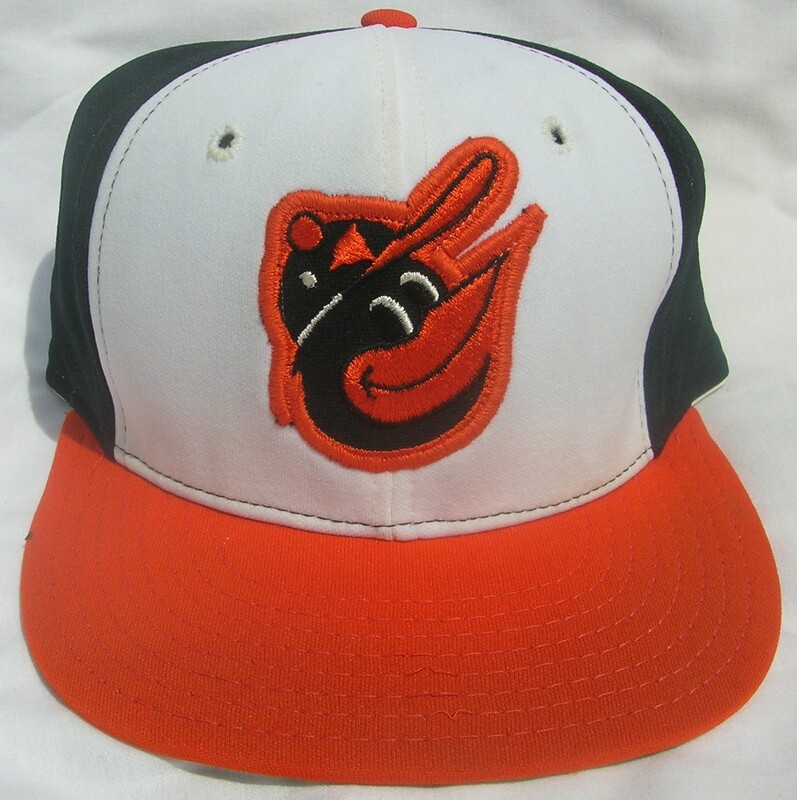 I’m sure a few of these were worn into 1974, but by then other cap companies were getting into the mix, trying to gain exclusive license with the Orioles, until they finally ditched the all black crown and switched to the white and orange panel AJD caps in 1975. It’s great to finally have one of these in my hands, as I can really take a close look at it and scrutinize every detail. First of all the visor. 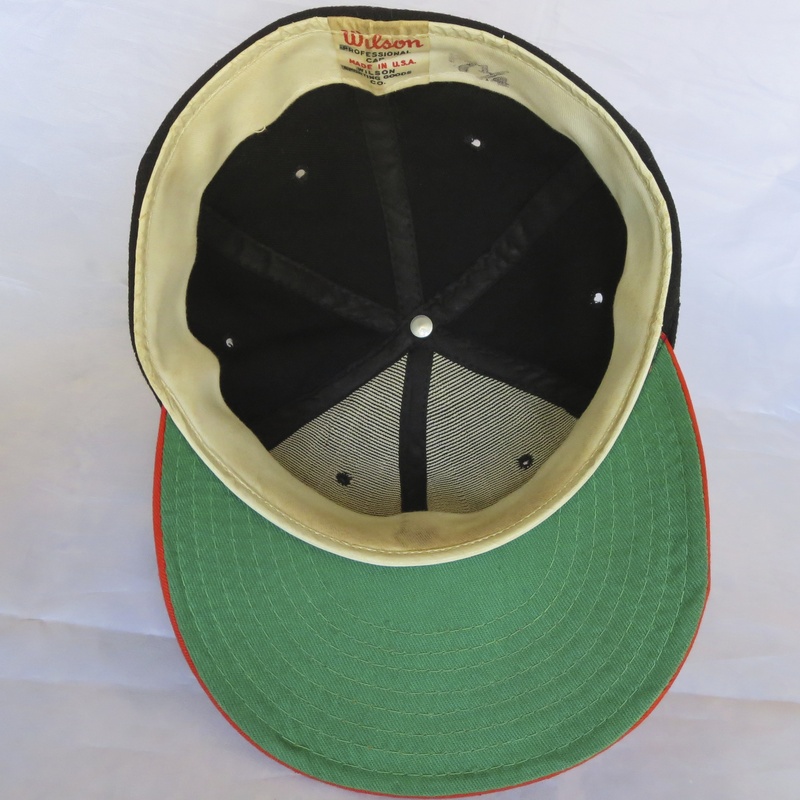 Sometimes visors on old caps tend to get stiff over the years and can crack very easily with the slightest bend, but Wilson visors were made of rubberized cardboard, so this one still has excellent flex to it. 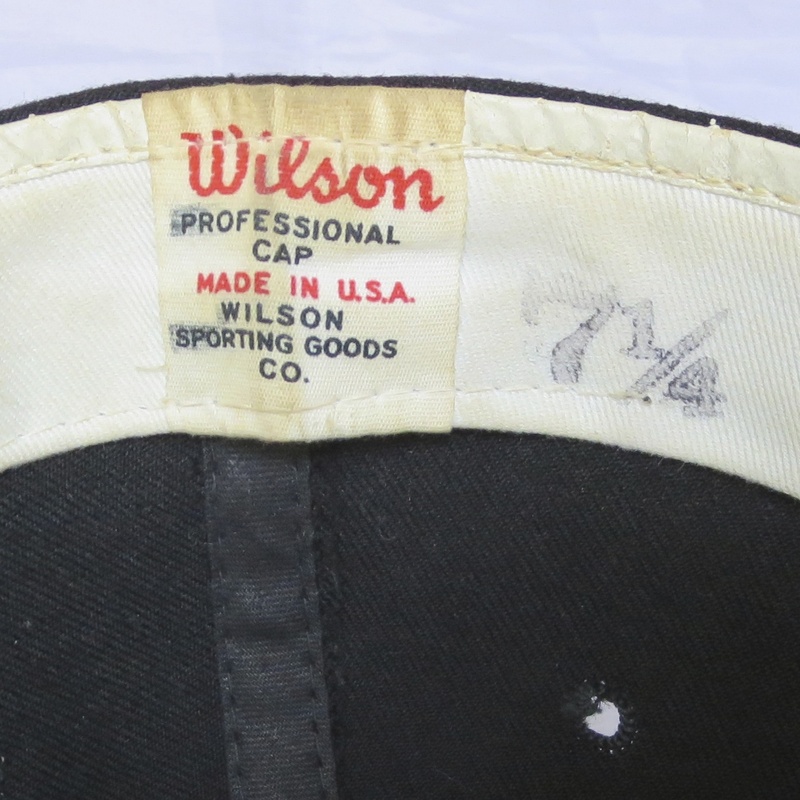 The size of the cap is stamped next to the Wilson Professional Cap tag. Lifting the headband reveals another size stamp underneath, along with the letters DVC. It turns out DVC is a date code. For caps manufactured for professional clubs, Wilson stamped a three-letter code inside/underside of the sweatband. This code was used to designate when the caps were manufactured. Third Letter is always “C” for Cap. So the three letter code of DVC means my cap was manufactured in May of 1971. Over 42 years old and a great season for the O’s! 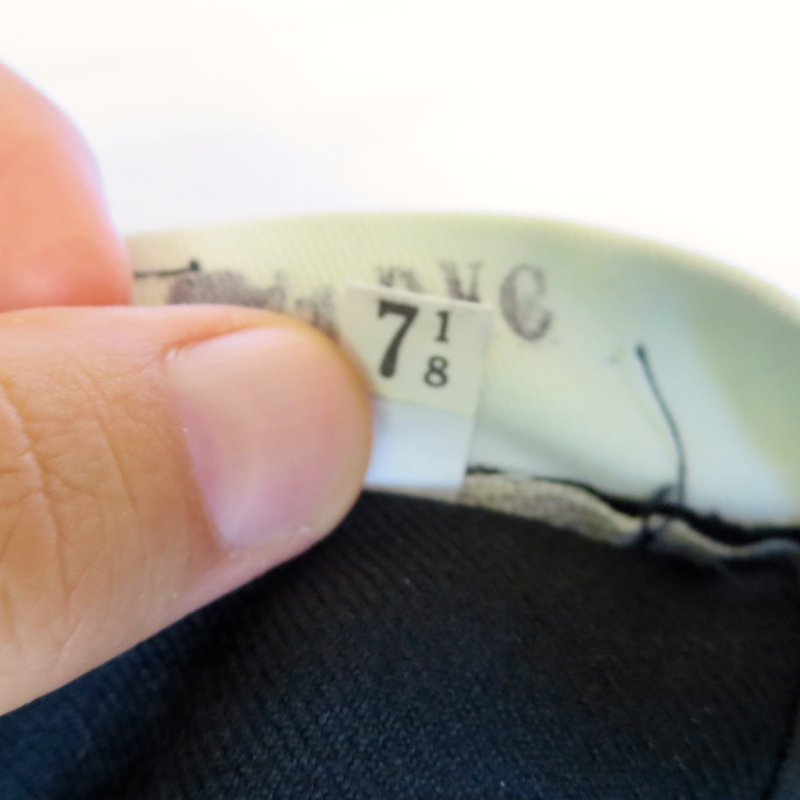 Also under the headband is a tag that says 7 1/8, which is one size smaller than 7 1/4. 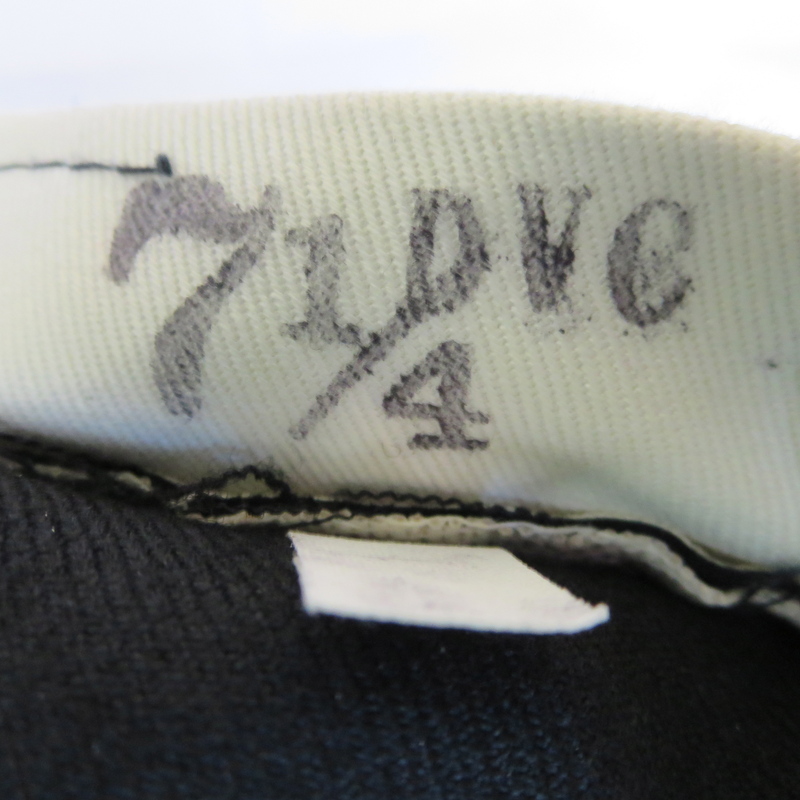 A 7 1/8 tag is also found under the front of the headband. Something else to note is that the logo isn’t embroidered directly onto the cap. If you look closely, you’ll notice that it’s actually an embroidered patch that is then stitched onto the cap. The ’66 crown is slightly lower and not as full. Notice the vent holes are higher on the ’12 cap. 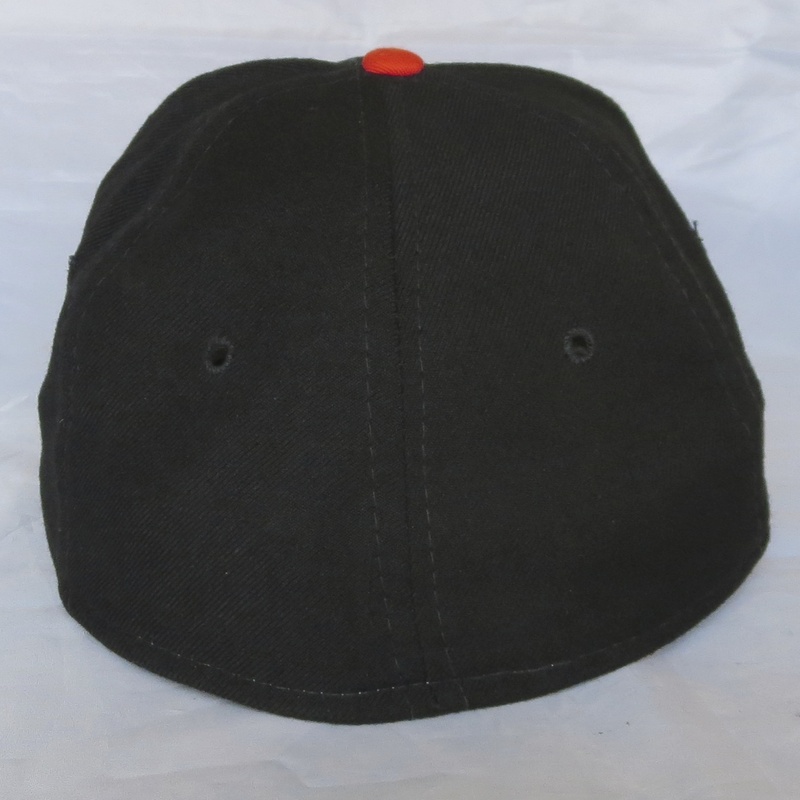 The bill and button is more of an orange/red color on the ’66 cap, but the logo embroidery thread seems to be the same shade. 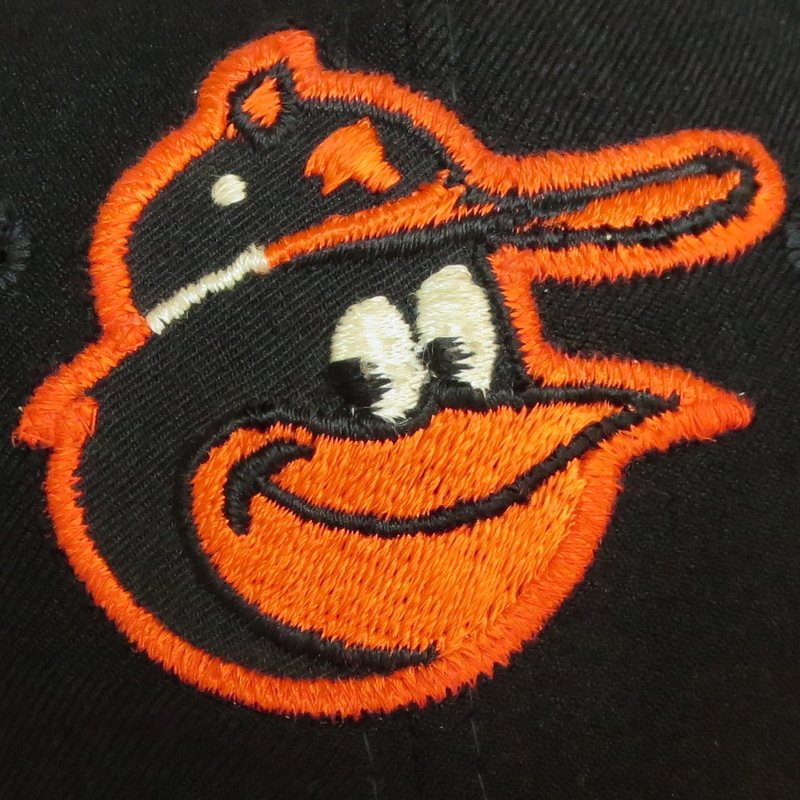 The raised embroidery of the ’12 cap is stitched directly into the cap and is much more refined than the ’66 patch logo. 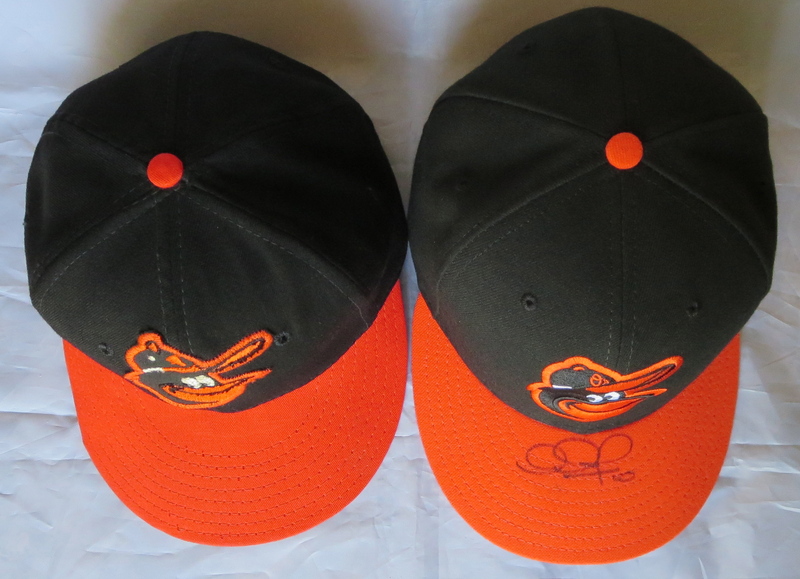 Both of these caps are size 7 1/4, but the 2012 cap just seems bigger overall. 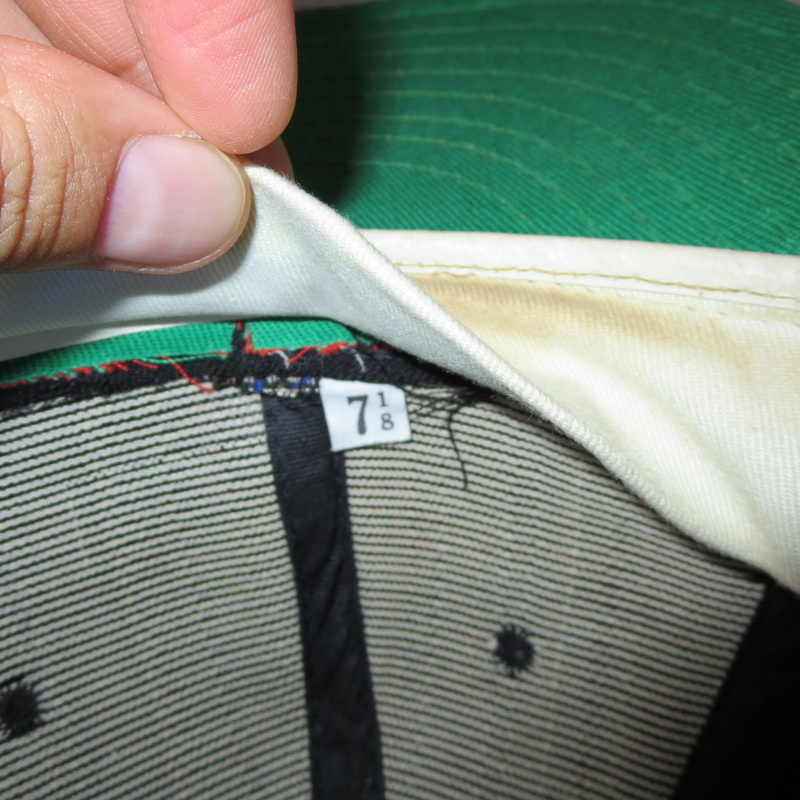 Earlier I wrote that the ’66 cap fit me more like a 7 1/8 than a 7 1/4, so I had to stretch it out a bit with a Hat Jack hat stretcher over night. The next day the fit was perfect. Because the crown is lower, it fits closer, as well as higher on the head. 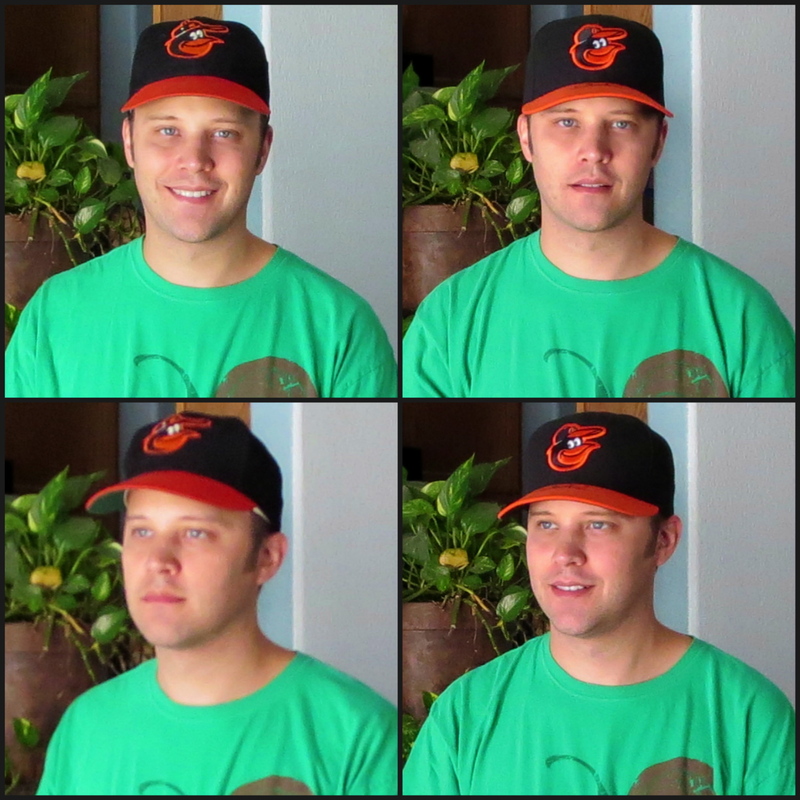 You can see more of my forehead shows with the ’66 cap, while the ’12 cap sits down closer to my eyebrows. 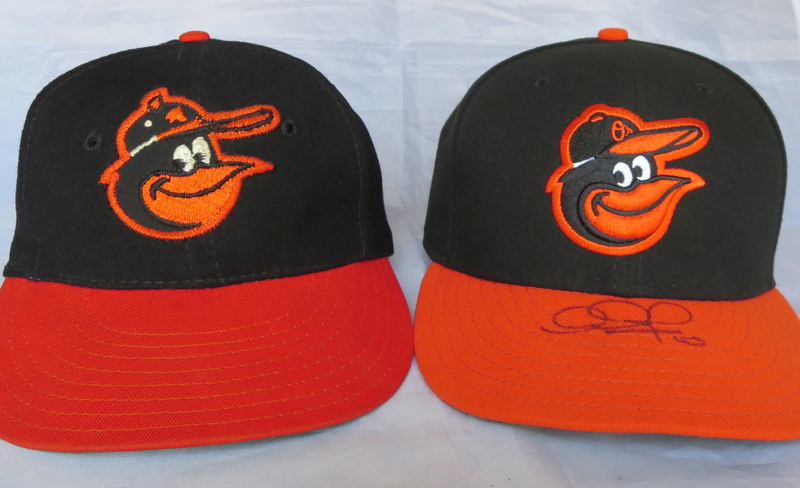 I think both caps look good, and it’s great to finally own an authentic, on-field 1966 Cartoon Bird cap, but overall, I prefer the style, fit and structure of the modern New Era caps. Now if they could just get the logos right on their Cooperstown caps! Wow, you’re insane . . . and I love it! 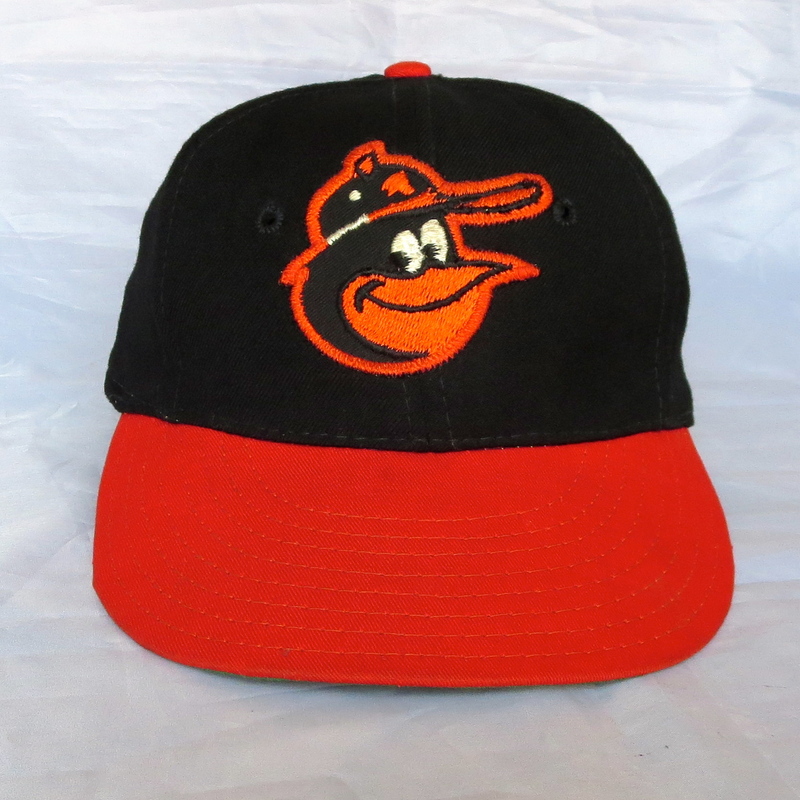 I’ve actually been thinking of getting a new O’s hat since the one I have is kinda old and deformed. Hmm. I don’t know. I think I can still squeeze a couple more seasons out of it.